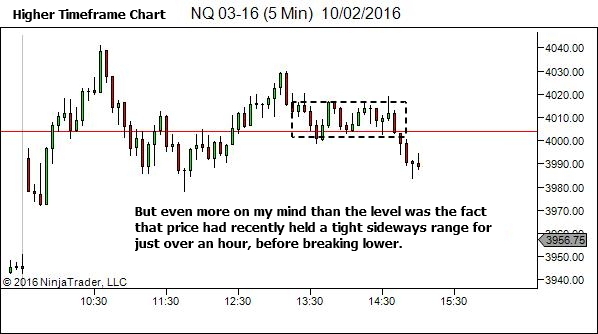 The best entries lean against some recent structure which limits movement against the position and provides a logical place for the stop. 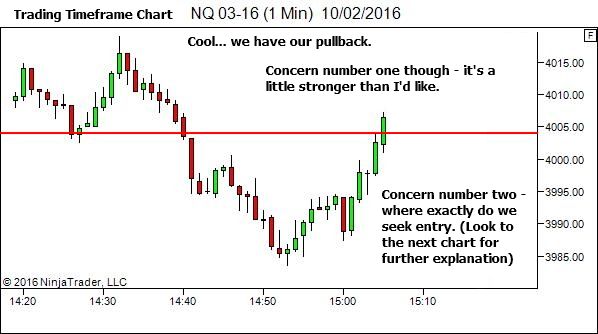 Unfortunately though, the market cares little for what we want to see in an entry. So how do we get in when there is no recent structure and we're trying to time entry to a market that is still pulling back against our expected trade direction? 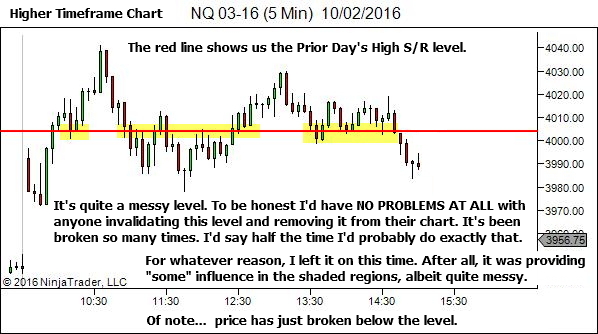 Let's start with the Higher Timeframe Chart to get some context. Let's go to the Trading Timeframe Chart now. 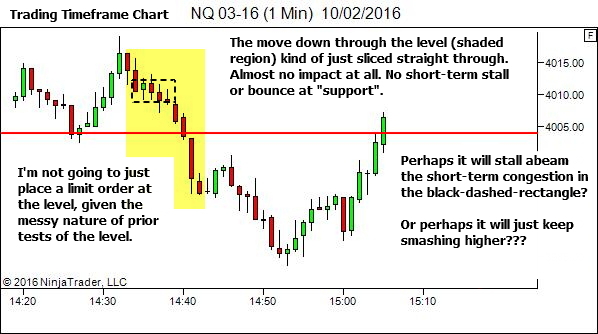 And we'll move forward a little to see the rally up to the general setup area. 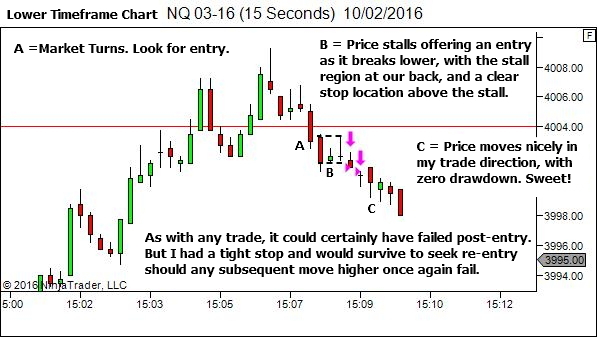 Because there are some concerns about exactly where we should be looking for the trade entry. This chart has no decent structure to lean against at all. 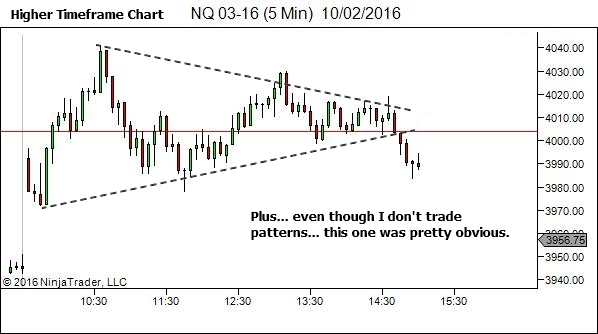 I'll move to the Lower Timeframe Chart to demonstrate this. Then find your entry on the other side. 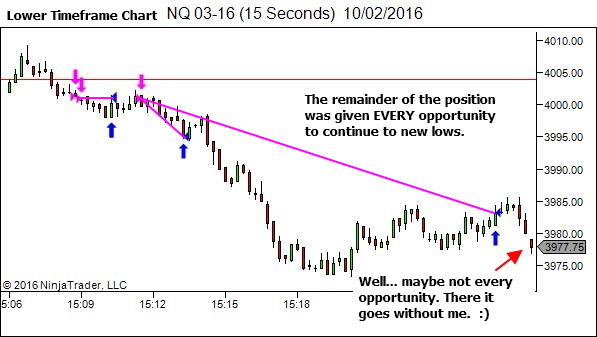 You don't have to buy/sell the absolute turn point. 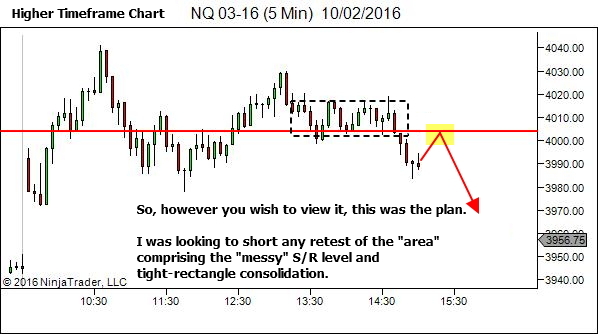 If there is no recent structure to lean against and provide a logical stop location, then LET THE MARKET TURN. 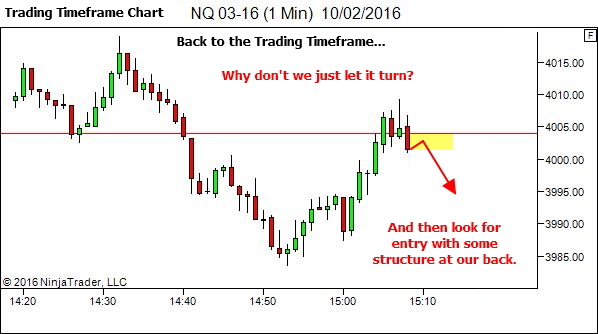 Get in when your trade can lean against the recent structure created by the turn. Priceless article Lance! Thank you. One quick question: Would it be fair to say that: An objective way to measure “Let It Turn” is a swing high / swing low on the trading timeframe? Or is it even possible to have an objective definition for “LEt it turn”? Thank you! If you aren’t comfortable making this completely subjective then by all means set some rules in place. Whether that is a swing high/low, or a trendline break, or a turn in a very short-term moving average, or a moving average cross on a lower timeframe, or something else entirely different, is completely up to you. I imagine all could be fine. None will guarantee that the trade works. 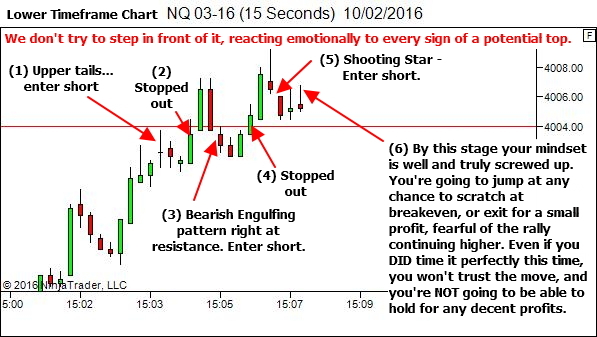 But they’ll simply stop you getting run over 2-3 times as you fade the pullback, delaying any trade till after the turn. 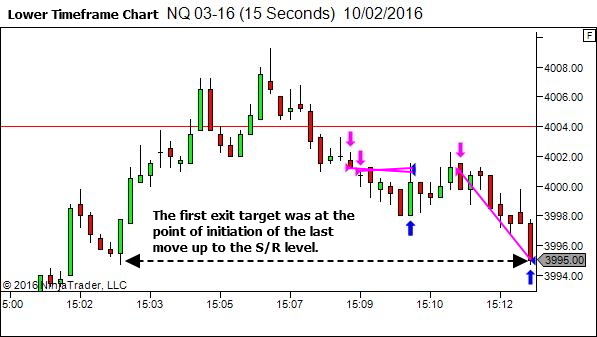 You’ll still need to be trading in a good contextual location if you want to maintain an edge. Incredibly timely piece. 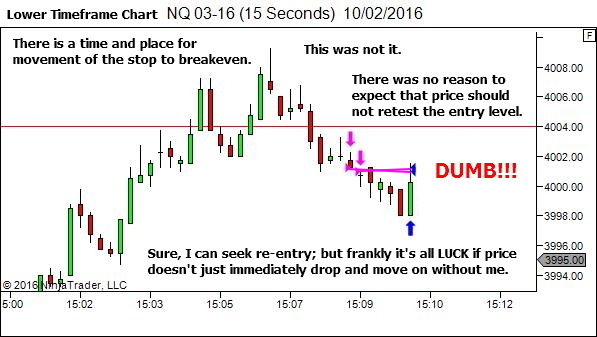 This is exactly the quandary I found myself in yesterday with the EUR/USD pair. Needless to say, it was an expense lesson. I still do this myself from time to time. It’s always an expensive lesson. Awesome article. Lance, you have said in one of the charts above that there is a time and place to move stop to breakeven. Would you please share what this time and place are? 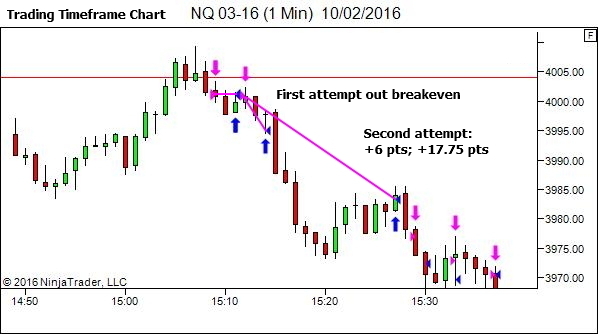 When would it be right to move stop loss to breakeven? Thanks a lot. The basic principle is that a trailing stop should ONLY be moved to any level (including breakeven) IF price returning to that level would invalidate the trade. This was the reason I was unhappy with the exit. 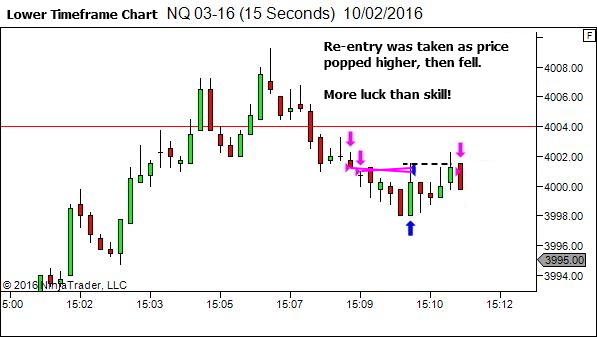 Retesting that entry level did not necessarily invalidate the trade. At most I could perhaps have lightened the position, if I was concerned in any way. But a full exit was not warranted. Of course, having said this, I do recognise that I’m rarely perfect at this. I do have a tendency to tighten trailing stops a fraction too much. To remedy that I always treat the exit as never being final, and consider the potential for re-entry should the trade show it’s still viable. Thanks so much Lance. I very often find myself in this situation. This post of yours will help me.